It’s a World Cup year. That means the usual flurry of transfer activity coming from Premier League clubs is a bit more concentrated towards the end of July. Fans of most teams will fervently hope that their squads look inherently different in August than they did in June. Blues fans are not exempt from harbouring such hopes. Of course, the main concern of many Chelsea fans is just who will be picking the team when it comes to the start of the season, with Laurent Blanc the new bookies’ favourite at the time of writing. Despite the fact that Premier League teams will likely embark on record-spending once again, almost all major bookmakers have released odds for the new Premier League season. For Chelsea fans, the odds might make for some grim reading, especially if the managerial situation causes a lack of activity in the transfer market. Anyway, it might not surprise you to learn that Manchester City have been favourites by all major betting companies. However, it’ll probably cause you a little shock to hear that they are odds-on favourites across the board. So, for a competition that purports to be a six-horse race, the best price you can currently find on City is 4/6 (Betfred). Liverpool have been installed as second-favourites at 5/1 (various), with United widely available at 7/1. Chelsea, for the first time in recent memory, are double figures in the odds to win the title at 11/1 (Betfred). You can grab Betfred free bets to use on the Blues if you reckon they can turn things around in the coming weeks. Rounding out the ‘Big 6’ sees Tottenham at 12/1 and Arsenal at 25/1. Of course, plenty of Chelsea fans will be content with simply getting back into the Champions League again. The odds given by Betfred on City, Liverpool and United finishing in the Top 4 are very short and point towards a showdown between Chelsea (8/13) and Spurs (4/5) for those all-important Champions League spots. Arsenal, which again shows their marked decline, are 9/4 to finish in the Top 4. What does this tell us about the season Chelsea have ahead of them? Everything and nothing at the same time. Plenty of bets will be placed on the Blues in the hope that an exciting new manager is given funds to spend by Roman Abramovich, but, at the moment, that’s betting on speculation, not concrete fact. The point is if the league started tomorrow, having Chelsea as 11/1 fourth-favourites for the title seems like a fair enough assessment of where they are as a club. For most Blues fans then, the odds as they are today point to a side who will need to do a lot of work before they can really be considered as challengers to the Premier League title. In truth, that does not always mean the owner needs to get the chequebook out – it’s also about creating a stable atmosphere around the club. 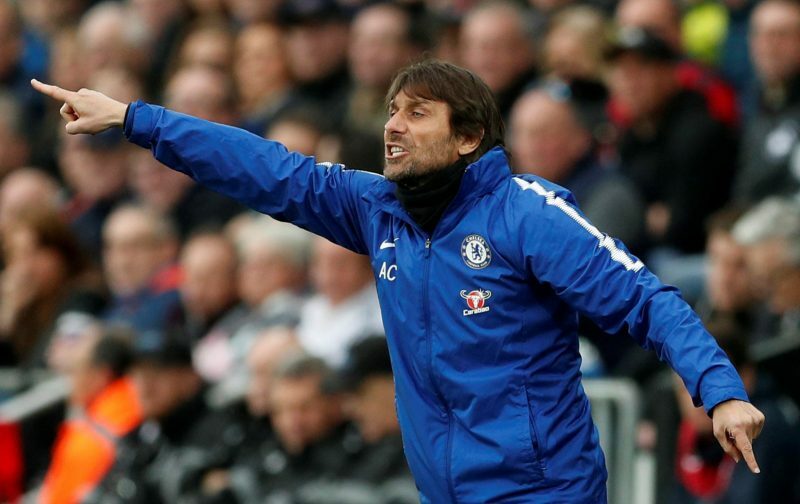 If the right candidate fills the job or, indeed, if Antonio Conte somehow gets a vote of confidence from the hierarchy, those odds will shorten in Chelsea’s favour. It’ll be worth keeping an eye on in the coming weeks.